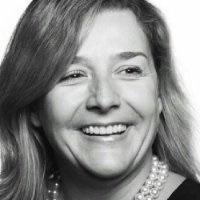 Edukey Education Ltd is pleased to announce that Genevieve Shore, ex Pearson CIO has acquired an equity stake in the company and joins as our Strategic Advisor. Edukey Education was founded by Duncan Wilson; a former secondary school teacher with 16 years of experience in secondary education. Our company has a portfolio of products that include SEN software, online literacy tests and a whole school behaviour management solution. Across our product range we have a combined global user base of over 250,000 teachers and 4 million students. Edukey’s flagship product is Class Charts. This award winning software combines seating plans with behaviour management and uses artificial intelligence to identify how pupils influence each other in the classroom. Currently in 10 languages, Class Charts is one of the UK’s fastest growing Edtech exports and provides school leaders with a detailed analysis of behaviour trends and patterns in their school. Duncan & Genevieve first met when Duncan performed a pitch about Class Charts to an audience at the 2013 BETT show. Genevieve was representing Pearson PLC as a judge, took a keen interest in the product and has stayed in touch, following our progress, for two years. Duncan is pleased to welcome Genevieve on board, “Genevieve has a huge experience in the edtech industry and we are very excited to welcome her on board. She brings strategic expertise to the company and we are very much looking forward to working with her as we realise our global ambitions”.